This started out as one of those “seemed like a good idea at the time” situations. 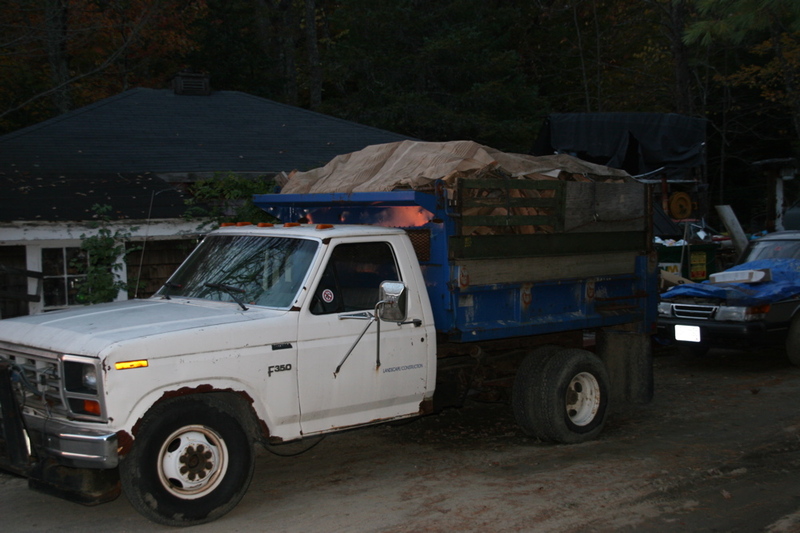 I saw a listing for an ’85 f350, ‘runs, with plow, needs engine’ I had a spare 400m engine collecting dust. A truck with plow would clear snow faster than the 8n Ford tractor. And who doesn’t want a dump truck? Turns out you can’t readily install a 400 where exists a 460. The 460 had two broken rods, and holes through the pan, etc. I suspect that water got into the air cleaner by way of a rotted hood gasket, and this was rapidly ingested at some point when the truck traversed a side hill? Most of the parts were ok. At first blush I needed at least two rods, and two pistons. And bearings, rings, gaskets. The usual. Perhaps the motor was assembled late on a Friday. The crank was defective, with a bb sized chunk popped from a main journal, and a broken ring on yet another cylinder. Studs and bolts refused to come out without the Bridgeport. I managed to break a tap cleaning out a stud hole, and spent two hours smashing it into tiny extractable pieces. Much later, I had a running engine. And then the fuel tank was leaking. And the front end bushings and links were worn out. And then first one, and then the other front caliper seized while driving. The hydraulic pump has a leaking input seal that can’t be serviced. I swatted a nasty looking wasp inside the cab and snapped a perfectly good windshield. Hardly a feel good truck. But it moves stuff around Ok, so long as I’m not in a hurry. And who doesn’t want a dump truck…?